For new-to-White Tiger students. Group classes meet Wednesday at 7:30pm and Friday at 7:30pm. Make up classes are available. Weightroom is open all day M-F, Saturdays from 8-2pm and Sundays from 11am-2pm. Pick up your FREE uniform and boxing gloves from the office. Questions? 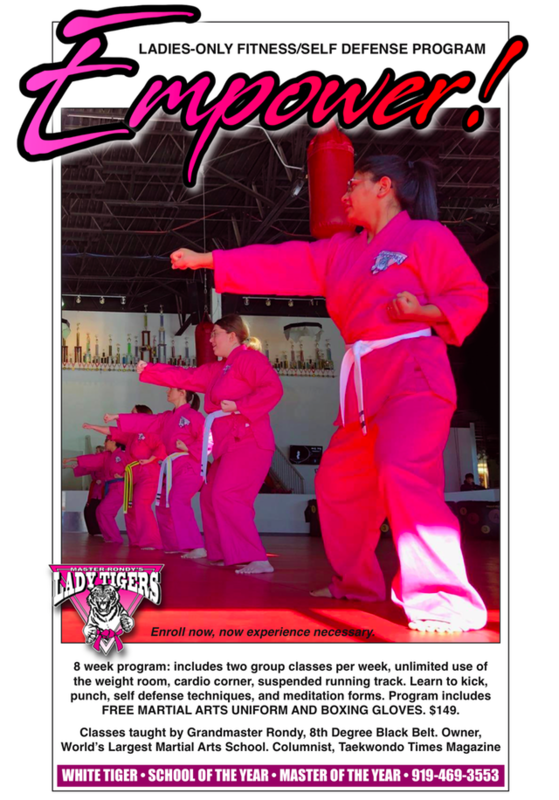 Contact Master Rondy, or Instructor Heidi at 919-469-3553.